for visual use was declared to be "the new standard in solar filters"
transmission is 0.001%, for visual or photographic use. What color is the image? is neutral and natural, not the orange color seen when using most glass filters. More Solar Stuff is Here! Safety Information - Please review! 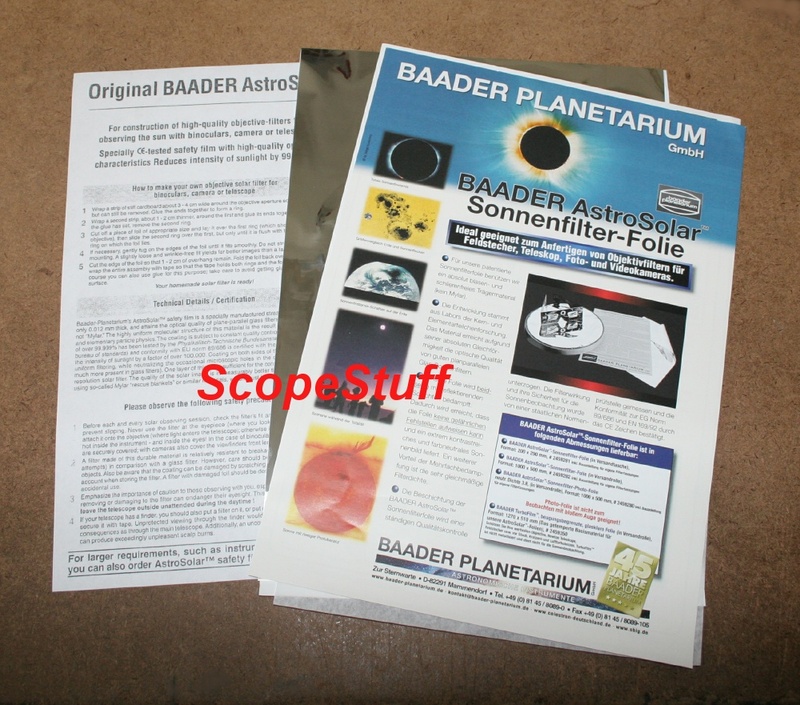 Astrozap Premium Solar Filters are Here!